As part of the UK-India Year of Culture in 2017, the Indian High Commission, the Ministry of Culture, the Indian Council for Cultural Relations and leading Indian festival producer Teamwork Arts have brought forward a selection of some of the best in Indian theatre, dance and music to Edinburgh’s Festivals this August. India and the UK, bound together through history and shared values of democracy, rule of law and pluralism, share a strong and multi-faceted partnership with deep cooperation across various fields including economics, business, science, and culture. One of the major strands included in the festival is India @ Edinburgh, which will showcase the fascinating and timeless appeal of Indian theatre, dance and music at The Royal Edinburgh Military Tattoo and in some of the most popular venues on the Edinburgh Festival Fringe. At The Royal Edinburgh Military Tattoo, Teamwork Arts have worked together with the Tattoo Production team and the Indian Government to showcase the best military band in India today, The Naval Band, whose performances have enthralled audiences in faraway places such as Rabat, Tokyo, Sydney, Odessa, Istanbul and London. 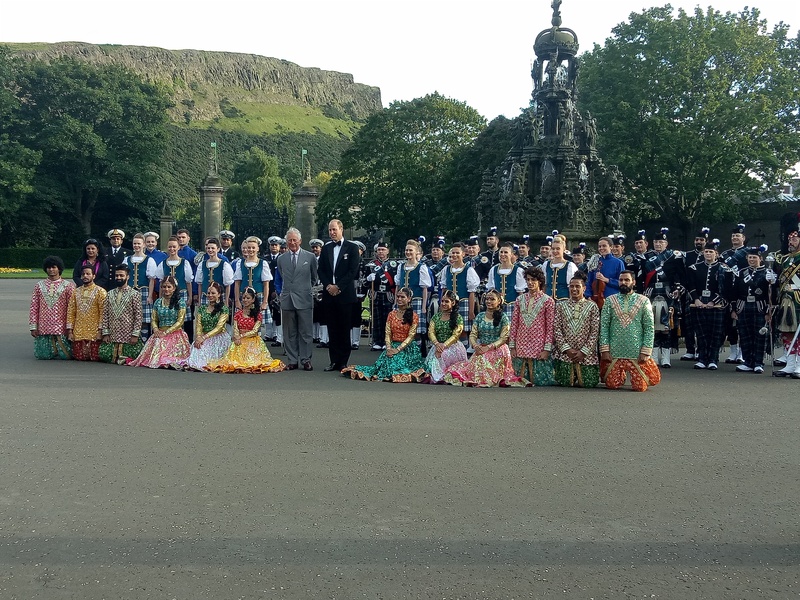 Teamed up with a troupe of dancers portraying the festival culture of India’s Western seaports the scale of the Indian presence is set to be one of the biggest seen at The Royal Edinburgh Military Tattoo. Director and performer Yuki Ellias weaves a web of intrigue and a tale of epic adventure in Elephant in the Room paying homage to Lord Ganapati. This wonderful play for children and families was among the most acclaimed in India last year. At the Assembly Rooms, this summer Edinburgh audiences have the opportunity to experience it in the UK for the first time. Writer Aditya Roy is bringing his storytelling born out of martial arts training in the tale of The Offering, showing this August at C Royale. At its core, The Offering is the story of the relationship between the Guru and the Shishya, or Master and Student. Roy is a writer, director, musician and martial artist. He was introduced to theatre at the age of four. His main focus has been on martial arts. Telling the tale of Majuli, the world’s largest and stunning river island in Assam’s mighty Brahmaputra river, through an evocative narrative of movement, dance, music, and theatre Shilpika Bordoloi celebrates the spirit of Majuli and the intricate bond between people and their land at Edinburgh’s Dance Base. Born in a quiet corner of Assam (Dhemaji) and brought up in Jorhat, Assam, Shilpika Bordoloi has always been headed for a life of dance. Shilpika has deliberately not trained in any of the Western dance forms allowing her to generate her own language.